Dow Chemical leased office space in the Deerwood Glen III office building in Deer Park. Clay Development and Construction developed the building. DEER PARK, Texas – Clay Development & Construction has landed Dow Chemical as an tenant in the “Petrochemical Corridor” office market on the east side of Houston. Dow leased 75,920 SF in Deerwood Glen III, a Clay’s spec office building under construction on State Highway 225 in Deer Park. Craig Beyer, Jeff Cutler and Kristian Nielsen of CBRE represented Dow. 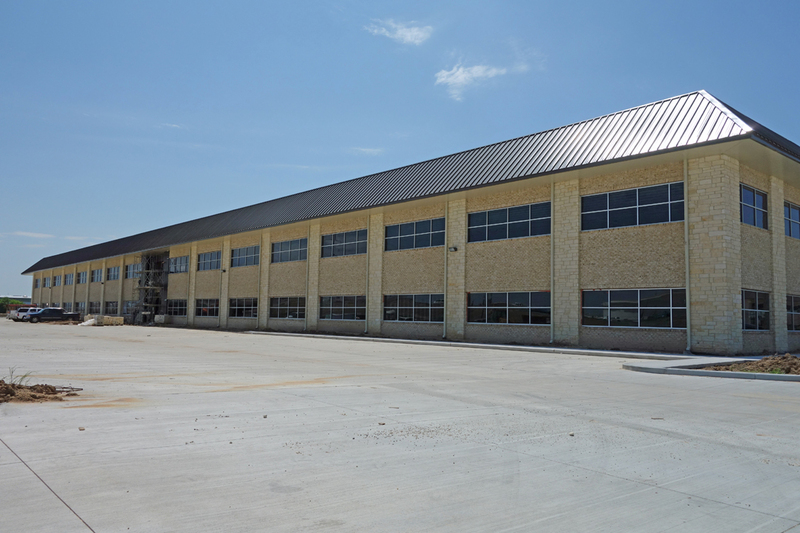 Charlie Christ represented the Clay organization, a Houston-based firm specializing in industrial build-to-suit facilities. The Deerwood Glen III office building, scheduled for completion in August, is now 77 percent leased. A fourth office building is planned in the 150-acre Deerwood Glen Business Park. Other companies in the development include Siemens, Mustang Engineering, The Brock Group, Shell, Burrow Global, John Crane Power Transmission, Code Red Safety, Abrasive Products and Equipment, Core Laboratories, Lifting Gear Hire and Universal Plant Services. Mustang Engineering is the lead tenant in the 100-percent-leased Deerwood Office I, 4400 SH 225, the first office building in the park. The building was sold to a private investment group in 2012. The Brock Group leased 38,000 square feet of Deerwood Office II in June 2015. That building is 100 percent leased. Design and construction of the two-story Deerwood Office III is by Clay Development & Construction. 22,310 square feet is available for lease in the building.